Do you ever feel isolated? Would you like to have more support in your life? What is the solution? After going into private practice I began to feel isolated. I missed the support of a team of professionals I considered my peers. The solution was to form a peer consultation group. My wish was to join eight other therapists so we could learn from each other, talk about our practices and offer support to one another. The questions I considered before seeking people out for the group were 1) How to reach out to people, 2) Who can join 3) When to meet, 4) How long to meet and 5) How often to meet. Also, I realized this was not going to be an overnight task. Hence, I gave myself about three or four months to have the group come together and several more months for us to feel comfortable together. When groups form they go through developmental stages of growth. I found people who were interested in a group at networking events, a list-serve , a meetup and colleagues I know. I decided on a date to start and the location being my office. We meet once a month for two hours. Since we have been meeting the group has been hosted by other members. A variety of topics are discussed and we are getting to know each other. An added benefit is if I need to give a client a referral, I know the people in the group well enough I am confident in their skills to be referring people to them. If you are feeling like you don’t belong, and are alone and really want to connect to others we can work together to figure out the possibilities of what might be a good fit. Brenda, last night I had a dream that brings me to respond to you. Through your more strongly developed ability to create communication & structure, my dream & your email connected. I am glad you dropped in to invite me to give you a call. I find it interesting that there is a serendipitous quality to the universe on how connection occurs. I will give you a call within the next 24 hours. Also, you are welcome to give me a call at 720-260-7702. As a member of your peer consultation group, I can testify how much it has helped me build relationships in the therapeutic community and learn so much from you and other colleagues about innovative forms of practice. It’s also very beneficial to receive all of the input on various questions and issues from my work – you are right that private practice can feel isolating at times and it is essential to cultivate a group to meet with on a regular basis. I look forward to continuing to grow with everyone! You are a pleasure to have in the group.Also, it is a pleasure to have you comment on the group here at Creating Your Beyond. What I like about you is your willingness to be involved. Also, you are open and sincere as well as insightful. 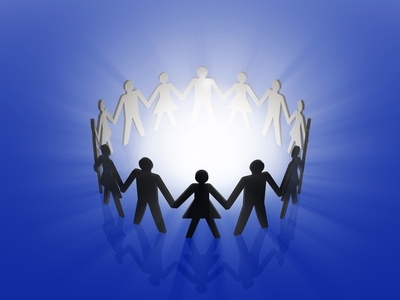 As a therapist specailizing in eating disorders you add diversity to the group. You help people “create a life beyond” an eating disorder. You are invited to leave your contact information next time you visit. Include your website address and email. Glad to have you here and hope you make more connections. By the way your 4th of July posts on Freedom were wonderful. I enjoyed your perspective.It seems we are on the same page about how to free ourselves.